an intern for the Community Focus, where she has written several articles and gave us a jumpstart on multiple projects. 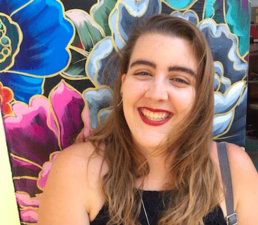 Before she headed back to school, Sabrina caught up with a few of her college-age friends who also spent their summers hard at work at internships in their fields of study. Getting involved in the lab was easy for Furtado because she knew the professor who ran the lab and a friend working in the lab gave a recommendation. She learned a lot that could easily be taken to other types of research; however, she particularly enjoyed using all the special equipment, especially the NanoDrop, used to measure the quality of a DNA sample. The team got to see up close the DNA they were extracting, creating, and sequencing. 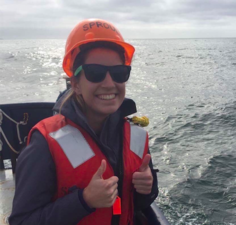 Furtado will be returning to the lab to hopefully continue the copepod hybrid research after spending a quarter abroad in Brisbane, Australia, to broaden her marine familiarity. 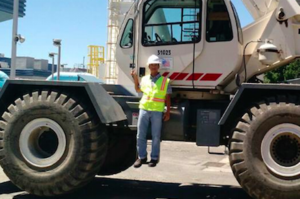 Despite balancing a heavy course load as a mechanical engineer at UC Davis and working as a shop assistant with Unitrans, Derrick Lewald took on a new opportunity this past spring and summer at an engineering student co-op. Working out of the Contra Costa County Sanitary District (Central San) in Martinez, Lewald was particularly involved with the Capital Projects Division of the district, helping improve the performance of the plant overall. 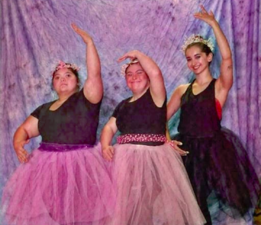 When not choreographing new dance sequences across the country as a senior dance major at Drexel University in Pennsylvania, Gina Quinlan spends her summers back in the Bay Area teaching dance to adults with disabilities. At the College of Adaptive Arts (CAA) in San Jose, Quinlan worked as a dance professor in their School of Dance, helping the college “prove that everyone is capable despite their differences.” She taught a variety of dance styles such as jazz, ballet, and contemporary, and she stepped in as a coach assistant for latizmo hip-hop. “While my goal is to work in a clinical setting with children,” said Quinlan,“teaching dance to these adults has been one of the greatest factors in cultivating my philosophy on art and ability.” Along with teaching, she got the chance to choreograph as well, crafting contemporary pieces to music as well as assisting with theatre choreography for the college’s many productions.